You can never underestimate the value of a good central heating system, especially during winter. If you do not have a heating system or you would like to replace the existing system, contact us for timely and professional central heating installations. We work with some of the best central heating manufacturers. If you want full upgrade services or full house heating services, our engineers will help you through the process. We will first establish your most important heating needs, and then we will build a personalised installation plan exclusive to your heating requirements. Our prolific services guarantee safety and comfort during emergency central heating installations. We are equipped with Gas Safe Registered professional engineers, who use efficient and effective strategies in conducting installations at the fairest price. We are a renowned heating company thanks to our genuine and friendly approach combined with our continuous learning and development. Eco Efficient Dundee employs the best in central heating installation for the best service. We have never had an issue with our heating installations because we focus on using quality products, and our engineers are qualified and certified to provide the service. When it comes to decision making on the best boiler, you can trust our engineers to guide you through. Our engineers are trained to install any make or model of heating system with accuracy and precision. For commercial and residential heating installation, you can trust Eco Efficient Dundee. 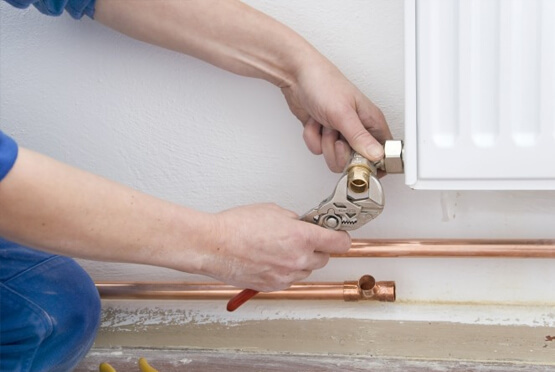 We have been vetted and authorised to install heating systems by relevant authorised bodies. All our employees are Gas Safe registered and we partner with authoritative central heating system manufacturers to ensure you get the best. Over the past decade, we have installed heating systems in more than 1,000 homes in Dundee. Our customers include: realtors, property manages, homeowners and landlords. If you need us to help you with designing your system, our experienced engineers are available for you. As Eco Efficient Dundee, we are always happy when we see our customers satisfied with our work. It is therefore a joy to listen to your specific needs and advise you accordingly. Talk to us about your budget, if you have a specific design in mind, your worries and concerns and anything about heating systems. Our dedicated staff will not leave you after installation, but will further provide servicing and repair services whenever the need arises. Central heating systems are one of the most valuable investments that home owners make. Improper installations, frequent repair services and unnecessary high heating bills can all be very discouraging. To avoid the dissatisfaction and discouragement, why not rely on our experienced and helpful engineers from Eco Efficient Dundee? Call us anytime to discuss your heating needs with our dedicated heating engineers. We will offer you unmatched central heating services!